Make Sure You Know the Passport Requirements! What are the Passport Requirements for a U.S. Citizen? To obtain a United States’ passport one must meet the following requirements outlined by the United States’ federal law. 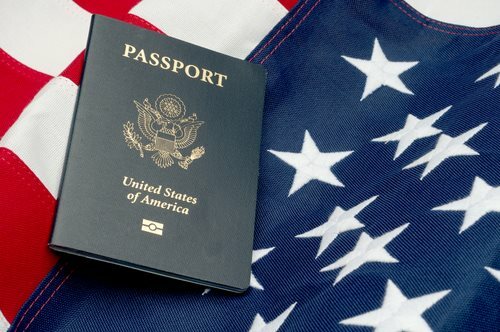 To obtain a United States’ passport the individual applicant must prove US citizenship. Proof of US citizenship will be acknowledged through the delivery of the following legal documents: the applicant may provide an original birth certificate (if born in the United States) or an old and undamaged passport; or an original certificate of Citizenship (a FS-240 or DS-1350 form are acceptable forms of certificates of Citizenship. These documents will be delivered if the applicant was born outside of the United States. An Original Certificate of Naturalization issued by the Immigration and Naturalization Office is also acceptable. Important note: A certified birth certificate contains a registrar’s raised, embossed, multicolored seal, along with a registrar’s signature and the date the certificate was filed with the registrar’s office. This date must be within 1 year of the applicant’s birth date. A delayed birth certificate filed following one year after the applicant’s birth may be acceptable if: The document was signed by the attending midwife or physicians or the document lists an affidavit signed by the parents, or reveals early public records. If the applicant changed his or her legal name by way of marriage the applicant will need to provide evidence of the name change: a certified copy of either document is needed or a marriage certificate or a name change issued by a court decree. What are the Requirements if the applicant does not have a previous U.S. Passport or a Certified Birth Certificate? If the applicant does not own a previous U.S. passport or a Certified Birth Certificate, the applicant must issue a Letter of No Record. This document is issued by the underlying state with the applicant’s name, date of birth, and the years searched for a birth record. The following documents are acceptable forms to prove a birth year: a baptismal certificate, a hospital birth certificate, a census record, an early school record, a family bible record, and a doctor’s record of post-natal care. These aforementioned documents must display early public records which reveal the date and place of birth. These documents, preferably, must be created within the first five years of the applicant’s life. The applicant may also submit an Affidavit of birth, form DS-10, from a immediate family member who has personal knowledge of the applicant’s birth. What are the Requirements if the applicant was born abroad and does not possess a Consular Report of Birth Abroad or a Certificate of Birth? If the applicant claims citizenship through birth abroad to one U.S. citizen parent, the applicant must deliver: A foreign birth certificate, proof of citizenship to one U.S. parent, an affidavit of your U.S. citizen parent showing all periods and places of residence or physical presence in the United States and abroad before the applicant’s birth. If the applicant claims citizenship through birth abroad to both U.S. citizen parents the applicant must include a foreign birth certificate, a parent’s marriage certificate, and a proof of citizenship of the applicant’s parents and an affidavit of your U.S. citizen parents showing all places of residence and physician presence in the United States before the applicant’s birth.